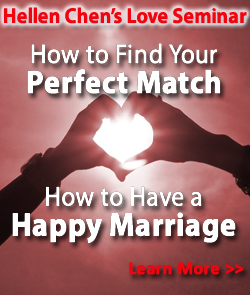 Hellen Chen -- a different kind of matchmaker who is teaching responsibilities of marriage to singles and working professionals, before finding them a match. A survey released last year called the American Freshman Survey, which has accumulated data for the past 47 years from 9 million young adults, revealed that college students are more likely than ever to call themselves gifted and having the drive to succeed, even though their test scores in key skills and time spent studying are decreasing. For example, students are much more likely to say they have above average writing abilities yet independent test scores show that their writing abilities are far less than those of their counterparts from the 1960s. Many experts have weighed in on this, citing issues about the younger generation having a false sense of self-esteem (not based on actual work produced,) easy access to credit, easy rewards and most of all the influence of parents who give excessively. In an article written by Kate Rourke, a student from Franklin Pierce University in New Hampshire, she said, "...in the 1980s, with a growing sense of urgency to provide the next generation with an 'easier life' ...Parents have instead instilled in their children the idea that 'entitlements' should have a positive connotation, and that any public assistance programs should be favored and supported, and that 'labor' is no longer a term to take pride in but instead something to reject at all costs." 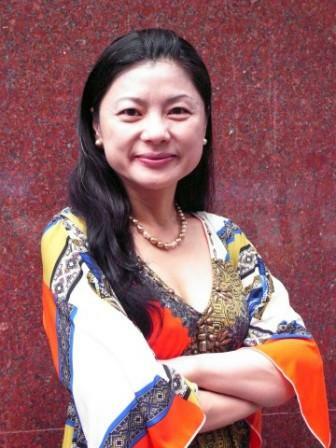 Marriage and Family Expert Hellen Chen shared her experience, "The sense of entitlement is not just found in Generation Y or any particular generation but is rampant in families who have somehow instilled in their children the concept of 'you do not have to produce something valuable in order to receive.'" Take the example of Suzanne -- a 40-year-old executive who was raised in a family who had paid for all her education until college and beyond. She had her own car to drive when she turned 18 and her family would stand by if she needed any financial assistance. She has never known what hardship is in her life. However, two failed marriages later and having been fired from her job 5 times and already turning 40, Suzanne found herself waking up. After attending one of Chen's lectures on relationships, she asked for Chen's help and unraveled a fundamental attitude that was the crux of the problem, "When I was young, I could have and did anything I want. There was no one to say no to me. And the truth is, I did not see anything wrong with getting what I wanted when I wanted it - even when I turned 40." She shared, "I was brought up in a very sheltered family. My parents were constantly cautioning me about how I needed to be smart to take what I can take, but not to let others take advantage of me. Hellen [Chen] eventually made me see that I have a very unrealistic view of my responsibilities to others - I only know how to criticize another's action to me and never what I did to others." 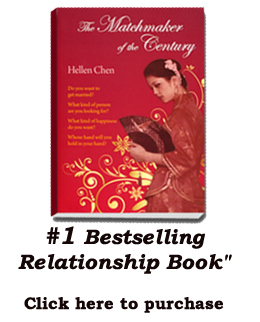 Chen has played matchmaker to over 100 singles and what earned her the title of "The Matchmaker of the Century" is her choice of dealing with men and women who are resistive about marriage in the first place, and how she then helped them to overcome skepticism, confusion and disappointments, to have the correct mindset to succeed. "This sense of entitlement is a great factor in relationship break-ups." said Chen. "If we raise our children to have a 'you-owe-me' attitude, we are also inevitably increasing the chance for them to have failed marriages in the future. And don't forget, the child's attitude does not change because of getting older. People in their 40s or 50s or 60s will still have relationship issues with this type of attitude." Chen said. "Finding someone a good match as a matchmaker is only the beginning of some major work ahead for me," the passionate matchmaker smiled. "Teaching someone how to be a good husband or wife - just like teaching someone to fish, not just giving them a fish - is a worthwhile endeavor that will do a lot of good for our young adults." Chen has also injected marriage education as a training program into corporations dealing with the problem of staff accountability issues. "Responsibility at work and at home are interrelated. You help one area and the other will be improved." Chen said.